It sounds like director Peter Berg is pulling out all the stops for Patriots Day, his movie about the Boston Marathon bombing in 2013. He’s already got one of Boston’s favorite sons, Mark Wahlberg, starring in it, along with J.K. Simmons, John Goodman, and Kevin Bacon. 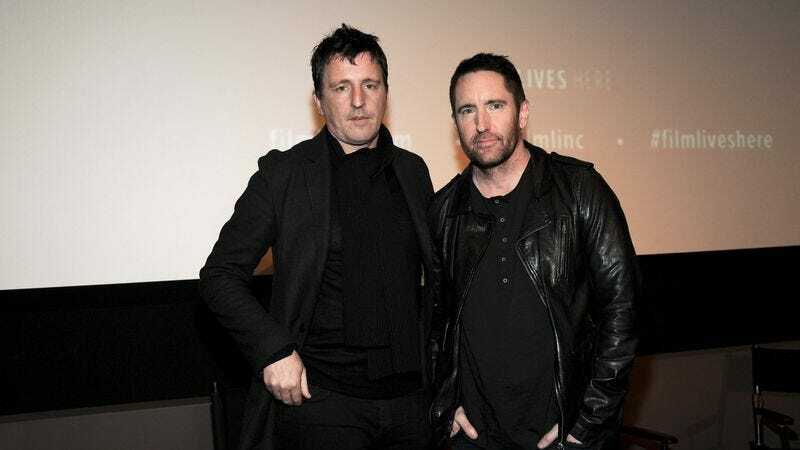 Now, as reported by Consequence Of Sound, Berg has enlisted Trent Reznor and Atticus Ross to compose original music for the Patriots Day score. Berg made the announcement on his Instagram, explaining that he’s “honored” to be working with “these two straight-up genius artists.” He also adds that they’ll be “bringing their deep soul and fury” to the film. Reznor previously worked on the score to The Social Network, The Girl With The Dragon Tattoo, and Gone Girl, so this Boston Marathon bombing movie seems like a bit of a departure. In terms of subject matter, at least, it will almost certainly require a bit more earnestness and sensitivity than those did, so it’ll be interesting to hear how this soundtrack turns out.